Cookies are the ultimate comfort food – who doesn’t enjoy a cookie freshly-baked, straight from the oven? However, not a lot of people have time to make them from scratch, so a cookie dough fundraiser is always appealing. What could be easier than putting frozen cookie dough on trays and then popping it into the oven, or even just eating it straight from the container? It’s a sweet treat that will also bring in the proceeds for your organization. Plus, if you’re fundraising for a school, you may see a lot of parents buying the cookie dough at the request of their kids! Cookie dough fundraisers start by finding a cookie dough fundraising company. The cookie dough comes frozen in tubs, and most companies will have a variety of flavors and varieties so that your customers will have a lot to choose from. JustFundraising.com offers the widest selection of cookie dough fundraisers to appeal to all groups. In addition to offering scoop-and-bake cookie dough, they offer preformed cookies in a box, so your supporters can just place-and-bake! They also offer 2 different price-points, $10 for 2 lbs of cookie dough, and $15 for 2.7 lbs of cookie dough, so your group can choose what you feel will sell best in your town. Some of the most popular varieties seem to be chocolate chip, peanut butter, and oatmeal raisin, so make sure the company has a lot of those on hand. You want a company that will offer you at least six flavors so that you can garner more appeal and sales among your potential customers. The company will send you brochures that you can pass around to your customers. Once you’ve got all your supplies (order forms and brochures), it’s time to go out and start selling. Your sales team will collect orders and money upfront. Some companies will provide a scratch-and-sniff card in their brochures so that customers can better choose their flavor of cookie dough. Brochures may be free or offered to your group at a low cost, so check with the company as to how much you’ll have to pay. Often, you’ll be reimbursed once you place an order. Also check with the company to see if you’ll have to place a minimum order, because you should work that into your fundraising goal if it’s the case. Sometimes shipping is free, sometimes it isn’t. You’ll need to find that out, as well. Decide how long your sales period will be and what your fundraising goal is. If you want to motivate your sales team more, set an end date that’s about three weeks from the delivery of your brochures. If the company offers an incentive for good sales, then offer that to your sales team as well. Once the sales period is over, collect all the orders and money and place one big order with the company. The cookie dough will be delivered to you in refrigerated trucks, so it should stay fresh. You’ll probably need volunteers on hand to help you sort and unpack the orders if the company doesn’t pre-sort them for you. You’ll need to deliver it right away to prevent spoilage unless you have refrigerated facilities to store it in. Cookie dough fundraisers have a profit margin of approximately 30% to 60%. You can make more, of course, if you sell more. The good thing about them is that they have little to no upfront costs and you can keep most of the profit right away as soon as you place the large order. Just beware of hidden costs, like minimum orders and shipping. Like most fundraisers, cookie dough ones do have their pros and cons. However, as fundraisers go, there are a lot of advantages. Everyone loves cookies, so you’ll probably have a lot of sales based on demand. As well, children are great negotiators – parents will often buy because their kids have coerced them into it. Cookie dough is a consumable item, so you can sell it several times through the year, and it makes a great holiday gift and item (Christmas cookies, anyone?). As well, there are normally no or very little upfront costs, so this is easy to put on even if your fundraising group doesn’t have a lot of money to work with. Remember, if you’re sending children out door-to-door, you need to make sure that there is a safety plan in place (a chaperone goes with the kids; they only do it during daylight hours, etc.). However, there are disadvantages. Cookie dough is a popular fundraiser, so other groups may be hosting one at the same time as you, which can decrease your sales. As well, you will need to have a place to store the cookie dough if you can’t deliver it right away. You can’t really carry inventory for this reason, either, so you’ll need to sell above the minimum order, if there is one. You will also need volunteers to sort through the orders when they arrive, if they aren’t pre-sorted. Thankfully, some companies will do this for you, so you won’t have to worry. Cookie dough is a great fundraiser that should earn you lots of money if you sell a lot. 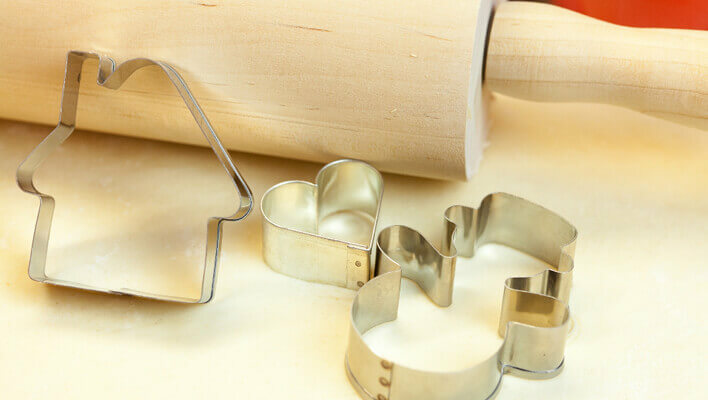 The cookie-making process is easy, too – simply scoop the dough out of the tub, put it on the sheet, and bake. Voila – easy treats in minutes!